Stephanie Archer received a bachelor of arts in music with a concentration in piano from the University of Mobile. She then completed a Master of Music in Piano Pedagogy from Louisiana State University where she studied pedagogy under Dr. Pamela Pike and performance under Gregory Sioles. Her performance experience includes numerous recitals and chamber orchestra concerts including performing as concerto soloist with University of Mobile Chamber Orchestra. She took her first job as a teacher in 2008. Her teaching experience includes private lessons and group classes for children, as well as courses for freshmen and sophomore music majors. Her professional affiliations include the Birmingham Music Teachers Association and Music Teachers National Association. 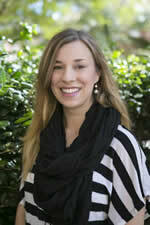 She currently teaches piano at Samford University Academy of the Arts.